This Week on Ground Crew Command Radio: Planetary Clearing Report (yes, it was nasty). Possible Antarctica Build-Up + More. This week’s show on Ground Crew Command Radio will begin with a planetary clearing report on a horrible attack on seemingly the entire surface population, not only Lightworkers. The symptoms (result) of this attack have been unstoppable (seemingly unavoidable) and constant verbal arguments between people … With tempers, emotions & relationships being frayed or ruined … Read moreThis Week on Ground Crew Command Radio: Planetary Clearing Report (yes, it was nasty). Possible Antarctica Build-Up + More. Urgent – Black Alert Meditation – Your Help is Needed! Since the situation is still very critical, Cobra has asked ALL the Lightworkers to perform the Alert meditation at four hour intervals, in order to help the Light Forces resolve this urgent situation. 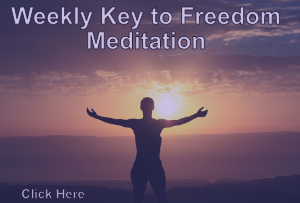 Here’s the link to the Facebook Event for this meditation : https://www.facebook.com/events/260288534498825/ It will be held at the following times: • 12 … Read moreUrgent – Black Alert Meditation – Your Help is Needed! International Monthly Remote Healing at the Full Moon by Expert Healers Initiated by Cobra in the 13 Healing Rays! JOIN US FOR THIS MONTHLY INTERNATIONAL REMOTE HEALING EVENT! Offered by: PFC TAIWAN and PFC JAPAN!!! WHEN: FRIDAY December 1st: and SATURDAY December 2nd: 22:00～22:30 p.m. (CST in Taipei) or 2:00 PM GMT This equals: 04:00 am HAST Honolulu, 06:00 am PST Los Angeles, 07:00 am MST Denver, 08:00 am CST Chicago, 09:00 am … Read moreInternational Monthly Remote Healing at the Full Moon by Expert Healers Initiated by Cobra in the 13 Healing Rays! Beautiful and Simple Way to Call the Goddess Presence onto Earth through your own Life and Being!